I tried. I honestly tried. But nine-and-a-half hours later and it's difficult to move on when the front page of the London Evening Standard is correctly portraying a partial "retreat" by the Tories on grammar schools. The fact is Tory spokesmen have been saying publicly and privately that there would be no new grammar schools. But when Dominic Grieve MP publicly argued that Buckinghamshire should be able to build new grammar schools if needed - to meet the county's rising population - the party leadership decided that they couldn't afford another frontbencher to be forced out. The party is, of course, denying any retreat but the whole thing is becoming a shambles. As Iain Dale exclusively predicted earlier, 38-year-old Andy Coulson, the former Editor of the News of the World is to be the new Director of Communications for the Conservative Party from 9th July. He will work with George Eustice, head of media [Correction: 'the Leader's Press Secretary (Henry Macrory is Head of the Press Office']. As Fraser Nelson writes over at The Spectator - this is a very welcome appointment. Mr Coulson fills a big gap in Team Cameron. He will know how to appeal to the striving voters that are not yet connecting with the new hug-a-hoodie Conservatism. It was, after all, Coulson's News of the World that came up with that phrase that powerfully mischaracterised Cameron's social responsibility agenda. He took the bullet for the recent royal phonetapping scandal but he still has excellent connections with the Murdoch empire. ConservativeHome has long believed that the party needs to strengthen its media operation and hopes that we now have the kind of person who will not allow future grammar-style rows to run out of control. "David Cameron today announced that former News of the World Editor Andy Coulson has been appointed as the new Director of Communications and Planning for the Conservative Party. He will take up his appointment on 9 July. “Andy is a hugely experienced journalist. I am delighted that he has agreed to join my team as Director of Communications and Planning. Andy will make a formidable contribution as a senior member of my team in building the most effective strategy and operation to win the next general election. I look forward very much to working with him”. “I am delighted to be joining David Cameron’s team and I look forward to helping the Conservative Party to return to Government under his leadership.”"
2.30pm: Guido blogs that Coulson will be critical to a 'bodyline bowling' attack on Gordon Brown. Guido's buddy Michael White writes on Guardian online that it will be vital for Coulson to hire media folk who understand television. 6pm: Ben Brogan "is assured" that Coulson will be on a whopping £400,000 a year to "take the Tory communications machine apart and rebuild it to his liking". Your views on ConservativeHome's positioning. Click here to take ConservativeHome's May survey. Today is day sixteen of the grammar schools row and it's marked by thoughtful articles against the Tory leadership's position from Graham Brady MP (in The Daily Telegraph) and Nadine Dorries MP (in The Independent - currently offline). "This is not a letter to a colleague. It is a press release, and a pretty poorly drafted one at that." The letter added insult to the injury of the spinning against Mr Brady. But enough has now been said about grammar schools policy and the mishandling of the aftermath of its announcement. We decided to wind down our coverage of the story a couple of times already but the debate kept rolling on, so unless there is really major development it is not ConservativeHome's intention to post again on this subject for some time. Later today we'll be uploading the May survey of membership opinion. We won't be asking about grammar schools. It is time for all of us to move on. The leadership's position is very unlikely to change. George Osborne made that clear yesterday. David Willetts has repeatedly interacted with this site and he appeared to reassure many readers with his answers to your recent questions. What we now need to do is focus on the strands of our education policy that unite the party. I would highlight synthetic phonics at primary schools, enforceable home school contracts, opposition to further closure of special schools, 'grammar streaming', a lifting of restrictions on City Academies and mechanisms for parents and other social entrepreneurs to open new schools. David Willetts has chosen to be "progressive on access in order to be a traditionalist on discipline and curriculum" (his words). It is now time for us to welcome a hard-headed approach to discipline and curriculum and heal the wounds of the last fortnight. Two years ago ConservativeHome launched its 'Manifesto for a 44% Conservative Party' (PDF here). We'll be spending most of tomorrow examining the extent to which that manifesto is still relevant to the Conservative Party. We'll also be using the manifesto's five main themes to point the way to the next few stages of this site's development. If you want to know why Nadine Dorries MP won Parliamentary Blog of the Year in last week's ConservativeHome Awards please see her post of yesterday - 'First born' - about her daughter and about the idealism of today's generation. Nadine is a star of the parliamentary party and it shouldn't be long before a newspaper offers her a regular platform for her views. And who gave those three newspapers that impression? Graham Brady took his reprimand on Monday but resigned after such a trashing in yesterday's press. Sam Coates (of The Times) raised the issue of these briefings at today's George Osborne speech. One of the lessons of grammarsgate is that we should not be spinning against our own side in the way that Labour have done. I hope David Cameron has severely reprimanded the person or persons responsible for the anti-Brady briefings. Such a thing must not happen again. George Osborne's public service reform speech (full text here) offered three main themes: Labour are lurching to the left; Blair and the Tories share four key principles on the public services; and where Tories would be different from Blair. "If you watched yesterday's Newsnight hustings then one thing is abundantly clear: we are seeing Labour lurch to left and abandon the centre ground. I am not talking about John Cruddas. You would expect him to demand higher taxes and more union power. I am talking about the members of the Cabinet and frontbench. Listen to Hilary Benn telling Labour to be 'unapologetic about our socialist values'. Or Harriet Harman attacking what she calls 'excessive ridiculous' City bonuses. Then there's Peter Hain arguing that 'we must be clear about the limits of reform' in public services and even Hazel Blears telling us we need 'more public ownership'. 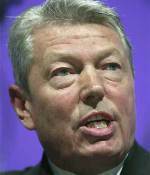 Alan Johnson, the front runner, is campaigning on a platform of more union power, an end to successful private equity and a limit on the number of new city academies. This, remember, is the Education Secretary. Labour is retreating into its left wing comfort zone - and the Chancellor has said nothing in public to distance himself from it. That is not leadership. Were the rhetoric of the Labour hustings translated into the reality of government policy, our financial services industry would be crippled and our labour market would become more uncompetitive." 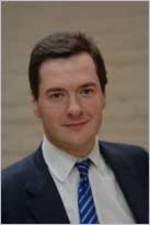 Although there are the shared principles outlined above, George Osborne was clear that the Tories would be different from Labour. Unlike Tony Blair who was captured by the centralising and unionised instincts of his party the Conservatives would devolve real power to professionals and offer "truly meaningful" choice. There would be no limit on the number of Academies, for example, and there would be help for people to start new schools (as long as they are not grammars!). In healthcare personal health budgets would be devolved to the GP and patient together. "Let me make a prediction. We will be told that instead of 'choice' what the public wants is 'voice'. The public want a say in how their child's school is run, will go the argument, not a choice between schools. Patients want a place on their local hospital board, we will be told, not a choice between hospitals. So we will hear a great deal about citizen juries, tenants forums, community councils that will give voice to a 'participatory citizenship'. There is nothing wrong with these mechanisms. But voice is only really meaningful with choice. The power to walk away, to choose an alternative, is what makes your voice heard. Gordon Brown's plans for public services are like giving citizens of East Germany a greater say in the colour of their Trabant. It's not a real voice because it is not a real choice." >>> The TaxPayers' Alliance concludes that the speech gives the Tories wiggle room on public spending. Shadow Chancellor George Osborne will give a major speech to Policy Exchange later today in which he'll attempt to revive the idea that Gordon Brown is a serious roadblock to reform. He will test the patience of some Tory supporters by welcoming the suggestion that the Tories are the true heirs to Blair when it comes to public service reform but he'll also play hard politics by accusing Gordon Brown and Labour's deputy leadership candidates of abandoning choice and private sector involvement in their approach to public sector reform. "This growing consensus between the current Prime Minister and the Conservative Party does not appear to include the next Prime Minister. And therein lies the political battle ahead, for Gordon Brown rejects the very idea that there should be alternative providers of taxpayer-funded public services... The difference now is that the people around Gordon Brown are also making the case against choice and diversity, and challenging key aspects of the Blair settlement." “We are not just worried about where the bottom is in terms of poverty. We are worried about the gap with rich and poor. You can’t have proper equality of opportunity with a huge gap between rich and poor. Do we want to be a divided society where some people struggle and others spend £10,000 on a handbag?" John Cruddas - who endorsed Ms Harman in the race should he not be successful - endorsed the idea of higher taxes “for the David Beckhams of this world." ConservativeHome will be at the speech and will post a full report later today. "In the space of 18 months, he has revitalised the Conservative Party, giving it the confidence and élan it has lacked for a decade. For that transformation to deliver electoral victory (without which all policy wrangles become academic), he must show toughness under fire and stick to his guns. Mr Cameron has set his course against a return to grammar schools and for a broader approach to better schools: he must pursue it without flinching. If, in the course of doing so, some fall by the wayside, so be it. Mr Cameron needs to know who is with him and who is not." If 'Leader image' - one point of the iron triangle of political success - has been strengthened by grammarsgate there is a risk that another point - the party's reputation for unity - could be diminished. "Asked which leader would be able to keep his party united, 40 per cent said Mr Brown and only 37 per cent said Mr Cameron. A similar poll a month ago showed that 64 per cent thought Labour were divided, compared with only 36 per cent who thought the Tories were disunited." In terms of headline numbers the Communicate Research survey gives the Conservatives a 4% advantage this month - compared to 9% last month. You can vote for your favourite candidate on the Newsnight website... in terms of performance I voted for Alan Johnson - by far the most charismatic and persuasive. 11.12pm: Cruddas, Harman and Johnson support some sort of amnesty for illegal immigrants. 11.10pm: Alan Johnson is only candidate to oppose taxpayer funding of politics - all support limits on election spending - Cruddas supports cap on individual donations. 11pm: Cruddas only 'no' to Trident and only 'yes' to ending charitable status for private schools. All in favour of nuclear power stations. 11pm: Hain and Harman attack stop and question press stories from the weekend. 10.50pm: Harman, Blears and Cruddas say that they wouldn't vote for the Iraq war if they knew then what they know now. Hain and Benn say they won't revisit the decision. Alan Johnson takes the most Blairite position by ignoring the WMD issue and focuses on Saddam's dictatorial record and contravention of UN resolutions. "Dear David, It is with sincere regret that I've decided to step down from the Opposition frontbench. It has been a privilege to work as Shadow Europe Minister both under you and under Michael Howard. I particularly regret that I will not be in post to fight the coming battle over the EU constitution. I remain firmly committed to your policy of returning social and employment law to British control and to your trenchant opposition to the transfer of further powers to the EU, and I wish you every success in achieving those goals in government. In recent weeks however, it has been increasingly difficult for me to reconcile my duties as a constituency member of Parliament with the collective responsibility that is required of members of the frontbench. As you know my Altrincham and Sale West constituency has four excellent grammar schools and four equally outstanding high schools. We are a part of the borough of Trafford in Greater Manchester which has a thriving, modern selective system of education - a system that consistently puts the local education authority at the very top of national league tables, even though we are socially and ethnically a very diverse area. For nearly all of my life I have campaigned to support Trafford schools, indeed it was because the Conservative Party was such a staunch defender of Trafford schools that I first joined the party and campaigned for it. This is something that I have continued to do in Parliament over the past 10 years. Like all Members of Parliament who have grammar schools in their constituencies, I must now help to provide the evidence that those schools need to defend themselves. That is why I have felt duty bound to continue my practice of obtaining and publishing facts which demonstrate that selective local education authorities perform better than comprehensive ones. If I did not put this evidence in the public domain, I would be failing the excellent schools in my constituency. Furthermore at a time when both major parties have adopted very similar education policies, the quality of public debate would be diminished if no one in the House of Commons were able to bring forward evidence that may lead to better educational outcomes for the nation's children. I hope that you will understand how difficult this decision has been for me and how much I regret any embarrassment that may have been caused to you and the Conservative Party. Faced with a choice of a frontbench position that I have loved and doing what I believe to be right for my constituents and for the many hundreds of thousands of families who are ill served by state education in this country, there is in conscience only one decision open to me. I will continue to serve the interests of the Conservative cause in Greater Manchester and nationally to the best of my ability. I would like to thank you for giving me the opportunity to serve in an important and exciting frontbench position for the last 18 months. "Following Graham Brady’s resignation, Mark Francois will replace him as Shadow Minister for Europe and David Gauke will join the Treasury team. “Thank you for your letter in which you submit your resignation as Shadow Minister for Europe. I respect your decision, and would like to take this opportunity to thank you for all you have done in that role. Two weeks ago you accepted that we should not continue to debate whether to introduce more grammar schools. The reason for this is to allow us to focus on the real issues in our secondary schools - namely, giving head teachers the power to ensure discipline, the need to encourage more new, good schools, the importance of setting by ability, and saving our special schools. These are issues which affect the children who go to the thousands of secondary schools up and down the country. They are also issues where we have clear differences with Labour. As you know, it has never been our policy to undermine existing grammar schools. As David Willetts and I have both said, they are good schools, and we support them. "Faced with a choice between a front bench position that I have loved and doing what I believe to be right for my constituents and for the many hundreds of thousands of families who are ill-served by state education in this country, there is in conscience only one option open to me." Mr Brady was yesterday reprimanded by the Chief Whip and today's newspapers were full of speculation (eg here) that he would be sacked in the summer reshuffle. Channel 4 is currently defying calls from the Conservatives and friends of Princess Diana to axe a programme which contains reportedly graphic images of the Paris car crash that killed her nearly ten years ago. 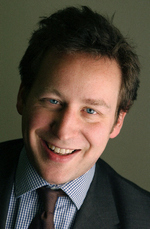 Ed Vaizey MP, our broadcasting spokesman, told ConservativeHome: "We think Channel 4 has crossed a line by showing the inside of the car. No matter how much they protest they have been sensitive and careful, they have breached a line that has held for ten years." The timing of this new row could embolden Gordon Brown in his reported interest in privatising Channel 4 for £1bn. At the 2001 General Election the Conservative Party proposed the sale of C4 and that proceeds should be used to endow universities. It is still the party's policy to end all public subsidy to the broadcaster that produced 46,000 complaints when its recent Celebrity Big Brother programme contained allegedly racist bullying. "The figures show that in comprehensive areas with no selection, 42.6 per cent of GCSE pupils get 5 or more A* to C grades in subjects including English and maths. This rises to 46 per cent in partially selective areas and 49.8 per cent in wholly selective areas where all pupils take the 11 plus." For two incidents of disloyalty to the party position Mr Brady might have expected the sack but it is thought that he has senior protectors within the shadow cabinet. Mr Brady has nonetheless "been severely reprimanded by the Chief Whip and told to stick to his brief," according to a party spokeswoman who issued a statement to the Press Association. 3.15pm: The Manchester Evening News now has the story. We learnt yesterday that the Conservatives are considering allowing schools to select by race in order to tackle any problems of racial segregation in ethnically mixed towns and cities. "There are parts of England where our towns are divided by race and religion into two very distinct groups... We are keen to invite a whole range of charities and organisations to set up academies. In those communities which are deeply divided we could use the creation of new academies to improve links between the communities by setting the aim of recruiting students from both those communities. No one can be forced to apply for a school and we don't want to bus children around. But we do see potential for a positive role in tackling the growing ethnic segregation in our schools." The Mail points out that four out of nine secondaries in Jack Straw's Blackburn attract more than 90% of the school registers from just one ethnic community. Earlier this week I called on Liam Fox and David Davis to help sell David Cameron's modernisation agenda to the right of the party. That is exactly what Dr Fox has done in today's Sunday Telegraph. Dr Fox believes that the new suite of Tory education policies will "place the power with parents", "kick-start social mobility", "make it easier to open new schools within the state sector so that parents have real options", increase "choice and diversity" and, in sum, "take a broken society, and fix that." It's only a short article but a welcome sign that the leading right-wing members of the shadow cabinet are not leaving their leader isolated in keeping the party united. The quid pro quo of having Fox-Davis-Hague sell the leadership's policies is, of course, that they are treated as full team members and help to set the party's agenda. The anti-terrorist forces have been under-resourced and in their place we get unwarranted proposals such as ninety days without trial that would drive "disaffected young Muslims into the arms of extremists". The film Taking Liberties - referred to by Mr Davis - is released nationwide on 8th June. David Cameron was asked earlier this week why he still had not appointed a replacement for sacked homeland security spokesman Patrick Mercer. He replied that he was waiting to see how the Government's own new arrangements for home and security affairs bed down. 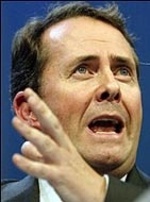 There is some speculation that Mr Mercer might return to his old position in the summer reshuffle. Another name in the frame is Baron Trimble because of his Northern Ireland experiences. "As a leader, I may be a white, fortysomething old Etonian, but that doesn't constrain what I do. No previous leader of the Conservatives has done as much, for example, to bust open the selection of Parliamentary candidates to include more women (now over a third) and more black and minority ethnic candidates. After the next Election, the Conservative parliamentary party will have a far wider and more diverse pool of talent - and quite right too. As an individual with three children aged five or under, I worry more about finding good state schools than almost anything else. I want a special school for my son that will meet his particular needs. I want state schools for the other two where they will be not just happy and safe, but challenged and inspired. My loathing of experimental teaching methods that failed generations of children, my fear of disruptive children wrecking the education of those who want to get on and learn, my contempt for the 'all must win prizes' mentality - whether in sporting or academic endeavour - is not just political, it's personal." Mr Cameron also uses his article to list some of the practical policies that the Conservatives will adopt to help raise educational standards. 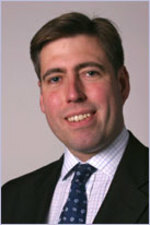 The Conservative leader is right to say that he has invested a lot of political capital to bring more women and minority candidates into the party (and he is succeeding in doing so) but ConservativeHome remains disappointed that little has been done to address the financial exclusion issues involved in candidate selection. The average cost of becoming a Tory MP has been calculated by this website at over £40,000 and ConservativeHome has yet to hear of any coordinated proposals to support lower income people in their parliamentary ambitions. A ConservativeHome page dedicated to this issue can be accessed here. An ICM survey for The Daily Mail confirms a recent YouGov finding that voters do want grammar schools. Although 68% of respondents said that a promise to build a grammar school in every town would make no difference to their voting intention, 21% said that it would make them more likely to vote Conservative and only 9% less likely. The Mail article quotes yesterday's Platform piece from William Hague and some of your reactions to it. According to today's Daily Telegraph Alan Johnson wants to compel private schools to lend teaching staff to local comprehensives or risk the loss of their charitable status. The Charities Commission is currently drawing up criteria which will guide private schools in how they should meet the new "public benefit test" that is required of them and other charities. Many commentators feared that this "public benefit test" would become politicised and Alan Johnson's intervention - during his bid to become Labour's deputy leader - only confirms those fears. A Telegraph leader notes that "independent schools already fork out more in free and subsidised places than they gain by their tax-exempt status" and save taxpayers £2.2bn by taking more than 500,000 children off the registers of state schools. The Conservative leadership declined to defend Catholic adoption agencies from the Government's tentacles but this new threat to the freedom of another stream of independent organisations must be resisted. It is all part of a larger trend of uninvited government interference in once private and voluntary spheres of activity. According to The Telegraph David Willetts is also interested in tempting private schools to help the state sector but only on a voluntary basis. In an interview of his own - with The Times - David Willetts suggests that poorer pupils may deserve a larger share of the government's education budget. Last March David Cameron launched a Charter for Inner City Schools that floated the possibility of higher pay for inner city teachers to aid recruitment and retention. >> On this morning's interviews blog you can read David Willetts' answers to ten of the questions conservativeHome readers posed earlier this week. The headline figures of the latest YouGov/ Telegraph poll (compared to the most recent YouGov survey for the Sunday Times) give the Tories a 6% advantage. The worst news is for Ming with only 41% of LibDem supporters believing that he is doing a good job as leader. LibDems wondering whether to oust Ming Campbell will be confused by quite different findings from YouGov and ICM. YouGov's unchanged 15% rating for the LibDems (enough to at least make the argument that Ming should be replaced) is 6% less than ICM's also unchanged 21% rating (enough, perhaps, for Ming to deserve the benefit of the doubt). In his article for ConservativeHome this morning William Hague offers a very upbeat review of the grammar schools row. The party's de facto deputy leader argues that David Cameron's leadership has been strengthened because of his willingness to face down critics of his policy shift. Mr Hague also believes that the lasting impression on the electorate will be that the next Conservative government is determined to focus on the education of the many, not the few. Those two conclusions are probably true but the Conservative leadership shouldn't ignore the downsides of the row. Many activists and MPs feel bruised. Many believe that the press management of the announcement was inadequate and we've got to rebuild the Tory-Telegraph relationship. I continue to hope that the leadership will use David Davis and Liam Fox more energetically. They should be more central to policy formulation and more central to keeping the conservative coalition together. In today's Telegraph Iain Dale suggests that some big commitments to more defence spending will reassure traditionalists. Iain agrees that "lessons need to be learnt to improve the media and party management of the controversial policies which will be announced over the rest of the year." That must be right. You can only offend MPs and activists so many times before the party risks its reputation for unity - the third point of the iron triangle of political success. As we go into the bank holiday and leave the grammar schools row behind I would add two other lessons to be learnt. I've probably spoken to about 25 Conservative MPs from all wings of the party since this story broke and two themes repeatedly emerge: (1) that frontbenchers outside of the shadow cabinet feel out of the loop and (2) the whips office is not functioning as well as it might. The parliamentary party might work better if frontbenchers received better briefings from their shadow cabinet ministers. Members of four frontbench teams have told me that they sometimes learn about announcements in their own 'departments' from the media. The whips office is the other area of concern. Backbenchers feel that the whips are not communicating their concerns to the leadership and get treated like "NCOs". One MP told me that the whips office had a barracks room ethos rather than a boardroom ethos. "It was stuck in the personnel management methods of the 1950s," another MP said. This may be one explanation for the fact that half of the 2005 intake have rebelled against frontbench positions at least once according to revolts.co.uk. Postscript: On GMTV's Sunday programme John Bercow will say that it will be "electoral suicide" for the Tories to go on about grammar schools. Mr Bercow also has confidence that there'll be no retreat by David Cameron from his modernising mission: "I think the big difference between David and his predecessors is that he has the advantage of seeing how his predecessors failed by backtracking, by compromising, by resorting to appeals to the core vote, David is simply not going to retreat into that sort of right wing laager because he knows it’s not worth it, he won’t win, we would lose again. It’s just not going to happen." The Times, Mail, FT and Independent all cover today's Tory announcement of tougher rules on 'foreign brides'. "Too many young women are brought to England to marry when they cannot possibly integrate with our society. They need better protection. It is not fair on them and it is not good for their integration into this country. Families where English is not spoken are much more likely to have children who struggle at school, and adults who cannot engage in work." In 2005, 41,560 spouses came to Britain, an increase of 25% over five years. Danny Sriskandarajah of the Institute for Public Policy Research think-tank told The Independent that the Conservative proposals could be vetoed by the courts because they could be seen to be racially discriminatory and interfere in family life. The FT's Jean Eaglesham interprets the immigration policy announcement as an attempt to "quell the rightwing revolt triggered by his abandonment of support for new grammar schools." Meanwhile Education Secretary Alan Johnson told BBC1's Question Time programme that Margaret Hodge was using the kind of language used by the BNP. Ms Hodge said that families that had been in Britain for a long time had a "legitimate sense of entitlement" to priority in social housing allocation. "My problem," Mr Johnson said, "with that is that's the kind of language of the BNP and it's grist to the mill of the BNP." Another candidate for the Deputy Labour leadership - Jon Cruddas MP, whose Dagenham seat borders Ms Hodge's own Barking constituency - said that the correct way of addressing the issue was to increase the supply of affordable housing and not to complain about allocation mechanisms.